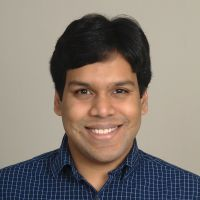 I am an associate professor at Pennsylvania State University with research interests in data science and high-performance computing. Please see my research group's website and Curriculum Vitæ (PDF file, last updated March 13, 2019) for more details. My primary email address is madduri at cse.psu.edu.